New shop in the town! Jeng Jeng Jeng Jeng! 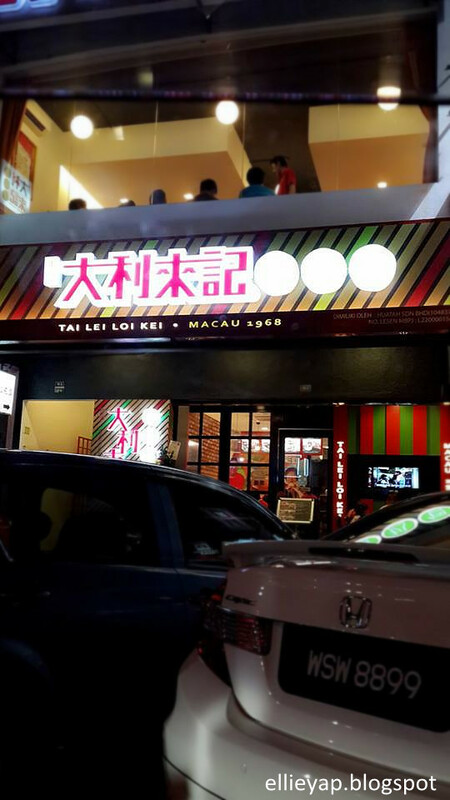 It's 大利來記 (Tai Lei Loi Kei). In Macau, Tai Lei Loi Kei is well-known with it's signature homemade pork chop bun and it's listed as one of the must-eat-food for visitors. 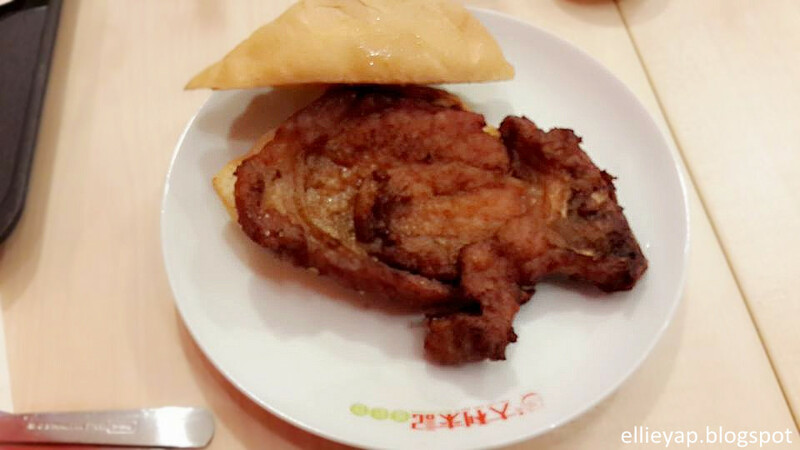 As people quoted, 'you haven't go to Macau if you haven't taste their pork chop bun'. So now, instead of having it at Macau, you can try it in Malaysia too! The design of the shop is kinda retro and imitate some style in 60's like what we seen in the old HongKong movie. It's kinda crowdy and hardly to get a seat there. So, be early if you wanna pay a visit there. Alike with those fast food outlet, it's self-service. After placing an order and make your payment at a counter, collect your food at another counter. And here I have ordered two set of pork dishes only. All the set comes with a drink. 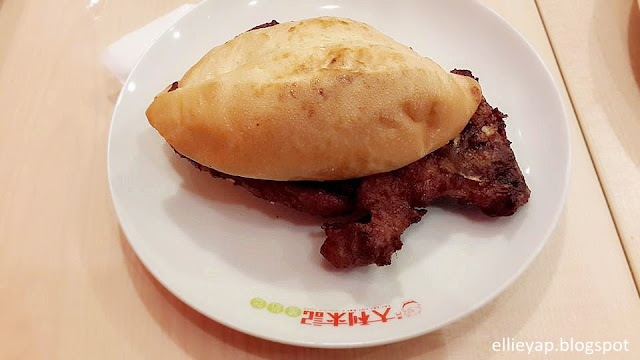 This is the Signature Pork Chop Bun set (RM13.90). When the bun is served, I was like WTF?! 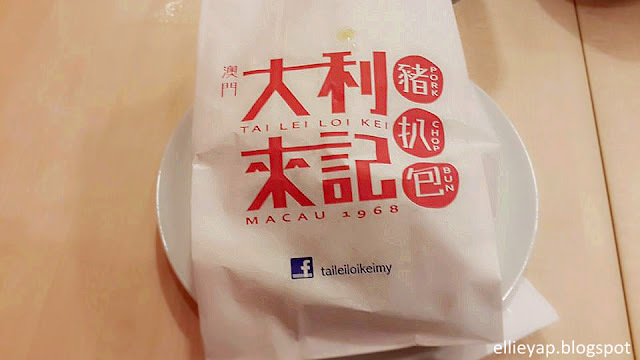 It's surprisingly simple, I wondered why is it so well known in Macau. No addition of lettuce, cheese, mustard, tomatoes like what we have in Mc Donald and none of some kind of special sauce. 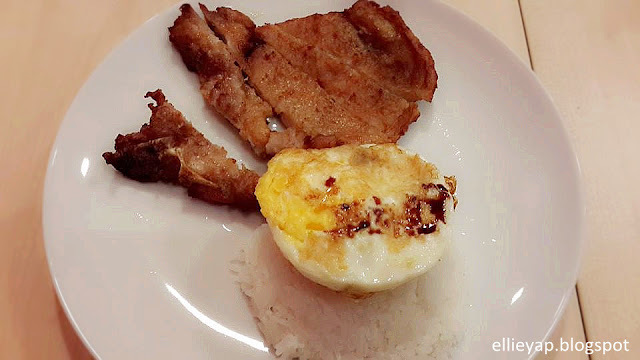 Basically it's a toasted bun with oversize grilled pork chop. For the toast bun, it's quite hard and dry. But the pork chop surprised me so much! It's lips smacking! The pork chop was grilled with quite seasoning. It's flavoring, chewy and super juicy. Another dish will be the Supreme Pork Chop Rice with Egg set (RM14.10). The finely cut pork chop comes with curry as well. The curry tastes concentrated and I think it will delight those who loves curry well. There are few outlet in Malaysia, do check them out! Tool and Tutorial on Creating Tear bags.